Pepsy Kettavong is a Rochester area sculptor. Kettavong was born in Laos in 1972. In 1980, his family fled their Communist-controlled country, lived in a Thai refugee camp for two years, and then were brought to Rochester after being sponsored by the Lakeville United Church of Christ. He had always had an interest in making things from clay, so he attended the Rochester Institute of Technology's School for American Crafts. He graduated in 1995, and moved to Nebraska. He has since moved back to Rochester, where he now resides. 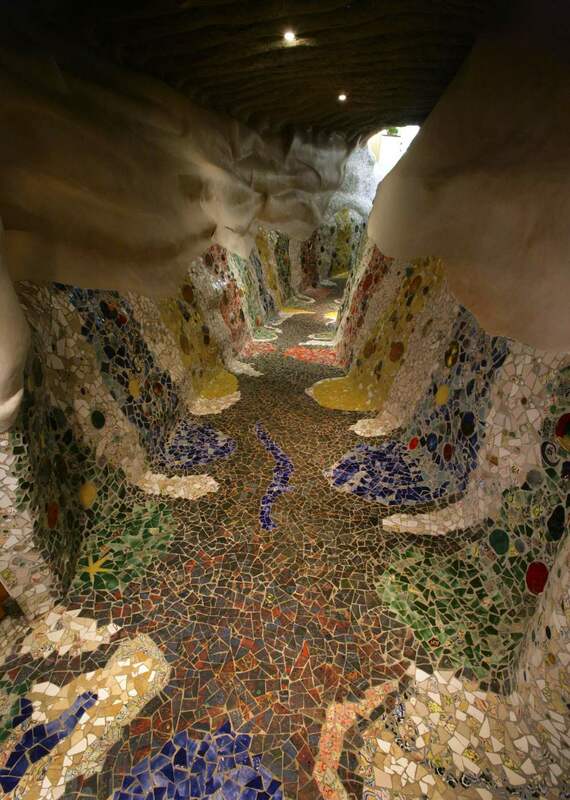 Inside and out the walls and ceilings of the Mushroom House are sand-molded and decorated by artists including Marguerite Antell and Pepsy Kettavong. He created a sculpture on the new addition’s roof. Marguerite Antell created all the hand painted wall tiles. Well over 9,000 handmade tiles are part of this creation.